Tube specification: 4 * 7mm & 4* 3/8"
-Tube specification: 4 * 3/8" & 4* 1/2"
-A changeable rerounding & straightening system to allow for further diameter changes. The rounding & straightening wheels are set on both the vertical and horizontal plane,which will straight the tubes from the 2 plates. Each tube has 2 rounding wheels and 12 straighten wheels. The feeding system is a hydraulically driven friction feeding device, with air cylinders controlling the actual pressure applied to the individual feed belts. When feeding, individual air cylinders will apply proper pressure to each of the belts. The upper and bottom belts will clamp one copper tube and feed to proper length.when the proper length is almost achieved. 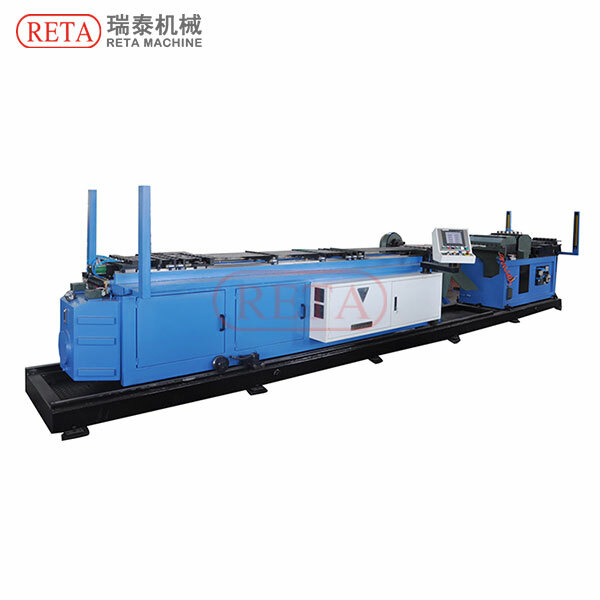 The feeding speed will change from fast to slow, and the air cylinder pressure on the belt will change from high to low. Each air cylinder will lose almost all pressure when the tube it is feeding reaches the final proper position against a Hard Stop plate. It will hold that tube in place until all tubes have achieved the final proper position. Thus all hairpin ends are in the same final location assuring both the consistence of hairpin length and equality of leg lengths. 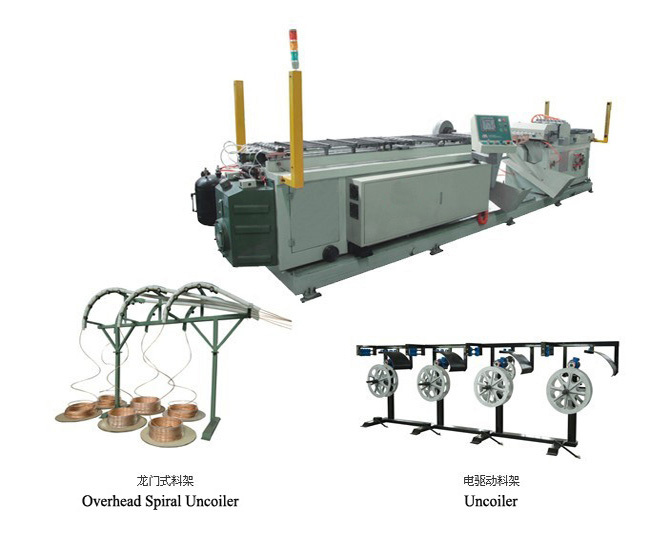 The copper tubing cutting system utilizes outer rotating cutter blades to cut the tube. Lubrication takes place. The feed belts reverse and separate the tube ends after cutting. The bend system is servo driven. This is allows for much better accuracy and less free play or back lash then the older type of hydraulically driven bending heads found in many competitor's units. The Hairpin Bender will be capable of receiving such special sets of bend tooling as may be dictated by specific bend radius requirements and / or changes in tubing diameter up to16mm maximum. An tube pick off device is included which will support the tubes while stripping and lay them down in the tube collectors. This will produce straighter hairpins for longer lengths. Thank you take time to check all detail. Looking for ideal Auto Hairpin Bender Manufacturer & supplier ? We have a wide selection at great prices to help you get creative. All the Automatic Hairpin Bender are quality guaranteed. We are leading manufacturer of Hairpin Bender Machine in China. If you have any question, please feel free to contact us.